I am usually so busy writing reviews of gear sent to me that I don’t find the time to write a review of gear I bought. However, I have been so impressed with the Warbonnet Thunderfly that I carved out the necessary time. Lets just say I really like this hammock fly. But to read all about it click here. 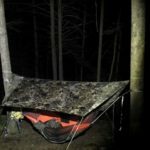 This entry was posted in Reviews and tagged #hammock, #warbonnet, #warbonnethammockreview, 4alloutdoors.org, backpacking, Camping, Coy Boy, Coy Starnes, gearreview, hammock camping, Hammock gear, Hammock Gear review, hiking, rain fly, trekking, warbonnet hammock review, Warbonnet Thunderfly. Bookmark the permalink.